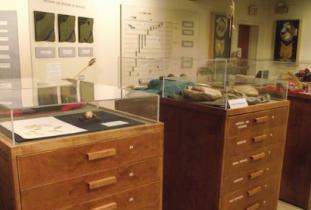 Moncur Gallery contains Native artifacts gathered in the region, dating back to 10,000 B.C. ; visual displays and dioramas. Open May to September, Tuesday to Saturday, 9 a.m. - 5 p.m., off-season by appointment. Admission charged.